It comes as the brand enjoys rising beer sales -- bucking the national trend as they continue to decline. It’s officially no longer Hawaii’s best kept secret. Kona Brewing Co. has launched its largest-ever marketing effort over NCAA’s March madness in a bid to compete with top lifestyle beers like Corona. In three new TV spots, the laid back Hawaiian brother duo (who have already wooed audiences in California, Florida and Washington) gently remind us to put down our phones and to-do lists and enjoy life’s simple pleasures. Cindy Wang, director of brand marketing, Kona Brewing Co, said: "Our ‘Dear Mainland’ campaign has connected with viewers because it taps into the cultural truth that we all want to put down the work and the phone and prioritize what makes us happy. "March Madness is a time when fans across the country are making time to enjoy themselves with friends, so it makes sense for us to introduce our brand nationally during the tournament. It’s an ideal moment to reach beer drinkers who are watching on multiple screens -- TV and digital." The 30-second TV spots aired nationally on March 21, as well as in 13 regional markets throughout the NCAA tournament. The integrated campaign includes video on March Madness Live, which generated 80M streams in 2018, as well as a Bleacher Report takeover. Kona’s agency of record Duncan Channon handled the creative and media. Its first national push comes hot on the heels of five consecutive years of strong sales growth for the brand at a time when total U.S. beer consumption is declining. 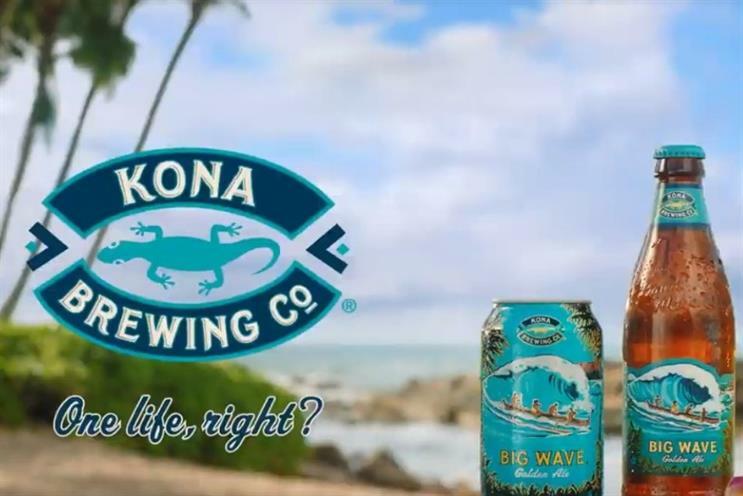 Kona’s flagship Big Wave Golden Ale, which is highlighted in the new spots, recorded sales growth of 26 percent in 2018. Parker Channon, creative director at Duncan Channon, said: "We live in a world where the demands and distractions can feel endless, so we can all use a friendly nudge to stop and enjoy the good stuff. And who better to give us permission to enjoy that stuff than a couple local brothers dispensing island wisdom. "After four years on the coasts, we couldn’t be more excited to bring this campaign to the national stage for March Madness."